Hi everyone, I made another 3D easel card using the French Manor Cartridge. I cut a piece of cardstock 12 x 5 and scored at 2 1/2", 5", 10" and 11". You fold it the same way you would a regular easel card, link here for easel directions, http://www.splitcoaststampers.com/resources/tutorials/easelcard/ here is a picture of how the end piece folds in. It's very easy to make and it folds down very nicely. Just make sure your piece in the middle to hold up each side fits, I cut the Merci at 3". Here are some more pictures. 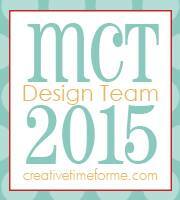 I want to thank Roberta at http://www.txscrappermom.blogspot.com/ for this great award! The rules of this award are: 1. Thank the person who gave this award to you 2. 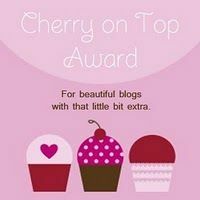 Copy the award and put it on your blog 3. List three things which you love about yourself - Being a Mom, it's everything to me! - Always there for my family! - My sense a humor, I love and you can always use a good laugh! 4. Post a picture you love This picture is of my 4 boys, I never seem to be able to get a picture of them all together, this is from my nephews wedding in June and the beautiful girl is my youngest son's girlfriend. 5. Tag five people you wish to pass this award to 1. Audrey at http://cuteandsome.blogspot.com/ 2. Caroline at http://www.carolinescraftography.blogspot.com/ 3. Theresa at http://binkyblossoms.blogspot.com/ 4. Agnes at http://flowerdiscosscraphut.blogspot.com/ 5. Ansley at http://pinkpolkadotscrapper.blogspot.com/ Thanks Again Roberta!!! Hi everyone, I finished my first big project with my new gypsy. I made this Animal Jungle Book using Create a Critter and Plantin Schoolbook and I have to say I love my gypsy. Anyone that is on the fence about getting one well I highly recommend it. The book is for my niece who is having her first baby and her theme of course is jungle animals. 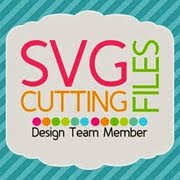 I'm adding both the gypsy and design studio files for the book if you would like to download them. The Paper I used is DCWV Animal Crackers, perfect for this book. Just check the zebra page you may have to hide contour the piece by the zebra's tail. Hi everyone, well I finally received my new gypsy from Provo Craft and I love it. My birthday one froze right after I linked all my cartridges so I needed to send it back to Provo Craft. I made this 3d easel card for the Cricut Cardz Challenge #32 it's a Christmas theme this week. I used my new Gypsy to design all the cuts, which are from the Christmas Noel Cartridge, I can't believe they are retiring this cartridge, I really love it. I have to work at this 3d easel card some more, I seen one on the web but it doesn't give the dimensions, it definitely needs tweaking. Hi everyone, I figured since the 4th of July is Sunday, I really should make something with my Independence Day Cartridge, I haven't used it yet. So I made this quick card, I was going for a vintage look with a splash of glitter. I cut the firecracker at 2 3/4", the Independence Day at 1 1/2", 3 star banners at 1 1/4". The red and blue paper my husband picked up at big lots, it's Westrim Crafts cardstock, well I have to say this stuff cut awesome with the cricut. Independence Day came right off the mat so cleanly, I have to see if I can pick some more of this stuff up. 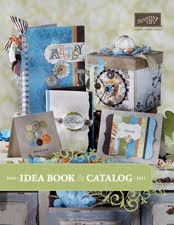 Hi everyone, check out the new SU 2010 - 2011 catalog, some really nice stamps in here and I love the new colors!!! Hi Everyone, well my birthday passed and I received some wonderful gifts, a gypsy which comes with Gypsy Wandering and Gypsy Fonts and since it was an HSN bundle it came with Destinations too, plus two lite cartridges, Bloom and Lacy Labels. For this card I used the Bloom Cartridge, it's such a great cartridge I highly recommend it. Here is a side view of the card, you can see how the finished tulip is attached to the card. And here is the front view not opened up. Hi everyone, tonight I made this easel card for my husband, he loves our boat so much. For the folded paper frame I followed the tutorial from Beate Johns over at Splitcoaststampers, here is the link, http://www.splitcoaststampers.com/resources/tutorials/foldedframe/, I just love how she made hers. For my card I used Life is a Beach for the sailboat, anchor, wheel and lighthouse. Storybook for the scalloped square and Plantin Schoolbook for the water. Hi everyone, here is a card I made using the Cricut Cartridge Straight from the Nest. I love this bird, I think it's my favorite bird cut. The corners on this cartridge look awesome too, I'll have to play around with them to see how they come out. I cut the scalloped oval and it's shadow at 4 1/4" and the bird and it's shadow at 2 1/4, the corners are 1" and the card is a 5 1/2" x 4 1/4, I make most of my cards that size. Hi Everyone, Here is another card from Create A Critter, I keep coming back to this cartridge, it's by far my favorite. I made this for my husband for Father's Day, I bought a pack of Fiskars Texture Plates and wanted to try the leather plate and thought the Alligator would be perfect for it. I cut all the pieces at 2" and all is from the Alligator except the water which is the accessory of the Hippo. Hi everyone, I'm so addicted to Create A Critter, this cartridge is really just too cute. I love all the critters and I think this octopus is adorable, and the seahorse too. For the water I used blue and white ink smeared on blue paper and then I swiped versamark over the whole thing and poured utee on it, then heated. For the sand I used a stamp from the SU stamp set itsy bitsy backgrounds and stamped all over brown paper, and then used the same technique as the water with the utee. I received Heritage for Mother's Day and this is my first time using it. I love all the vintage cuts on this cartridge and I think the horse and buggy is my favorite. Hi everyone, here is a card I made tonight using Create A Critter and some SU stamps. I think this beaver is just too cute. I have to say that the SU stamp set Inspired by Nature and Itsy Bitsy Backgrounds go so well with this cartridge. I also used UTEE on the water again, just love how it comes out. Hi everyone, here is a card I made tonight using Give a Hoot Cartridge. I used SU Itty Bitty background stamp set on the mountain and used SU Inspired by Nature stamp on the grass. For the water I rubbed some SU brilliant blue with a dabber and brushed on some white ink, I stamped versamark over the water and put utee on and heated to get the rippled shiny look. Hi everyone, well I received Create a Critter and a couple of other Cricut Cartridges for Mother's Day. I have to say CAC is one of my favorites, it's just too cute. Here is a card I made last night, all cuts are from CAC. I used SU's stamp set Inspired by Nature for the grass, I have to say that stamp will work very well with this cartridge. I use SU Itty Bitty background Stamp set on the sand and lobster. UTEE was used on the water to give it a reflection. Hi everyone, Here is a card I made for my Mom for Mother's Day. I used Sweet Treats for the flower and A Child's Year for the stem. 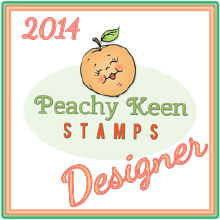 The face is stamped with Peachy Keen Everyday Character Face stamp. I used UTEE on the flower and leaves to look like dew. Hi everyone, it's been a busy month so far, my son plays college baseball so we have been watching many games. They just won their Conference Tournament and will be off to the Regional on Thursday. Well anyhow here is a card I made using the Cricut Cartridge Summer in Paris, I love this poodle cut. I didn't get to post this card I had made for another family member's Bridal Shower. It also is from the Cricut Wedding Cartridge. If you don't have this cartridge and have a wedding coming up, get it you will not regret it. I chalked the edges of each flower with my Stampin Pastels. Here is a card I made using the Watercolor Trio Stamp Set which is in the Summer Mini Catalog. I used one of the stamps as the background on the Gable Green Cardstock and the flower on the Whisper White cardstock was stamped with Versamark ink and then colored with Stampin Pastels. 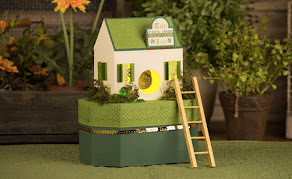 Hi everyone, this weeks Cricut Exploration Challenge is Walk in my Garden. I used my SU stamp set Watercolor Trio for the flower stems and the sentiment. This stamp set is in the Summer Mini Catalog, it's very pretty, it's a set of 7. The flowers and flower shadows are cut at 1 1/2" and the bread tag is cut at 2" and 2 1/4". I used Martha Stewart's fire Opal glitter for the flower centers. I used a Sizzix texture plate for the embossed background. Here is another card I made using Stampin Up's Stamp Set, Elements of Style. This stamp set is in the Summer Mini Catalog and it really is such a pretty set. I used the sketch from the PPA Website, here is the link, http://www.palspaperarts.com/2010/04/ppa38a-sketch-challenge.html, some really beautiful cards here. The paper I used is SU Raspberry Tart Designer Series Paper which is on clearance for $3.99, you can't beat that, plus I love this paper. I receive my new Stampin Up stamp set Elements of Style that will be available in the up and coming Summer Mini Catalog. This is a beautiful stamp set, I love the flowers, bird, and the sentiment, it's just so pretty. There also is two more stamps with it. Here is a quick card I put together. I picked up a pack of Sizzix Texture Plates and was trying them in my Cuttlebug, I have to work on the sandwich settings a little more, the impression didn't come out really good. Hi everyone, here is a card I made using the Cricut Cartridge Nursery Rhymes. I love the cuts on this cartridge, just wish it was a full cartridge. Hi everyone, here is another card I made using the Preserves Cartridge. I think the fruit is adorable and goes so well with my Peachy Keen Faces. If you have these face stamps then this cartridge is a must. All the cuts were done using Preserves, the Thanks a Bunch is done on the computer. I used the SU Word Window Punch to punch it out and matted it with the SU Modern Label Punch. Instructions: The card size is 5 ½ x 4 ¼ , I used the pineapple 3 ¾”, banana 2 ¾” pear 2 ½”, apple 2”, strawberries 1” and raspberries 1”, with their layers for this card. I used design studio to hide the cutouts on the apple. I inked around the edges of the cuts and stamped them with peachy keen faces. Hi everyone, I discovered that you can use the flower from the Cricut George cartridge with the flower from the Stampin Up stamp set Eastern Blooms. Here is a video I created showing how. I should have said in the video I used the shadow blackout (shift) feature of the flower. Hi everyone, like I had posted in my previous post I am participating in the Cricut message board cartridge challenge and here is another card I created for it. The card is for Autism Awareness, the puzzle represents the mystery and complexity of autism. I used Printing 101 cartridge for the puzzle pieces with the word friendship spelled out. The saying which I love is by Jennifer Hanson.